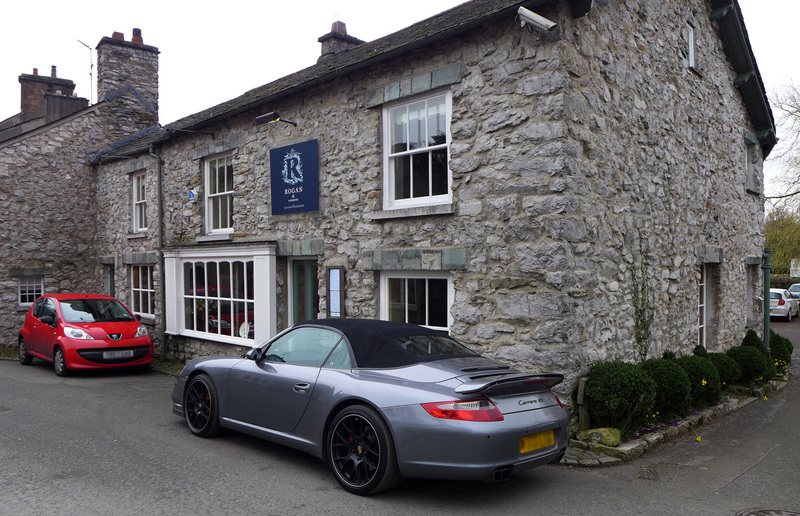 Rogan & Co in Cartmel – Chef Kevin Tickle cooks a Spring Lunch. 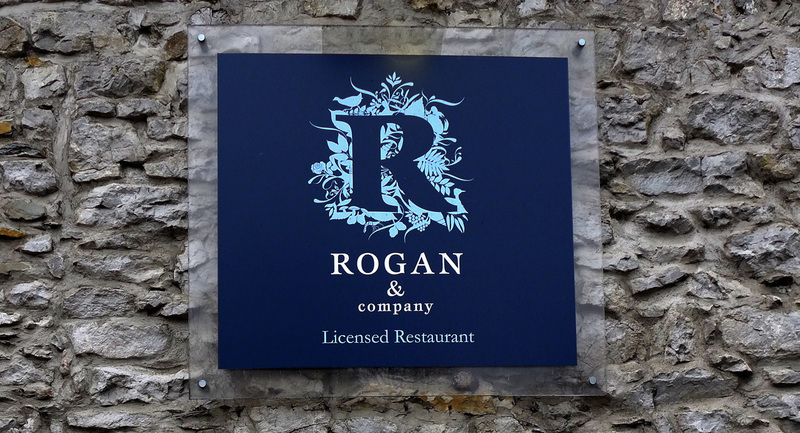 I`ve been back and forward to Cartmel for over ten years to eat at Simon Rogans Lenclume restaurant. 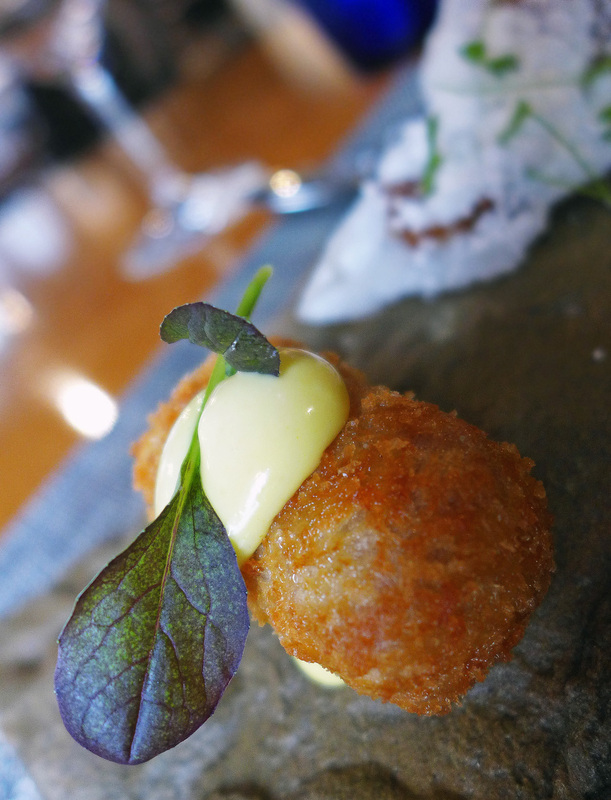 Strangely enough i`ve never actually experienced the food at Simons other restaurant in the village, Rogan & Co. as I`ve just headed to the flagship to eat instead. 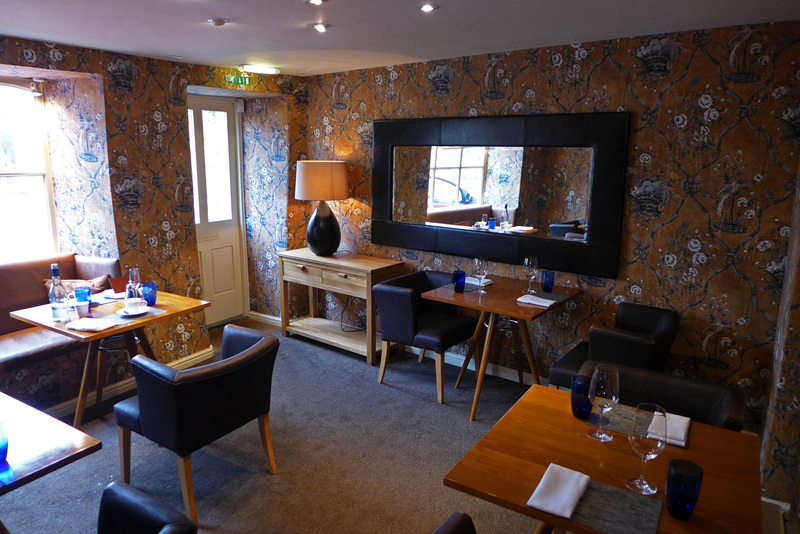 Recently Rogan & Co has unergone a total refurb and a very talented young fellow by the name of Kevin Tickle has taken up the post of Head chef. Mr Tickle has spent the last few years working for Simon Rogan and firmly established himself as part of the backbone of Rogans business.Thankfully in what must be a large weight off Rogans shoulders Mr Tickle has slotted straight into place and is getting on with the business of heading up the kitchen at Rogan & Co. 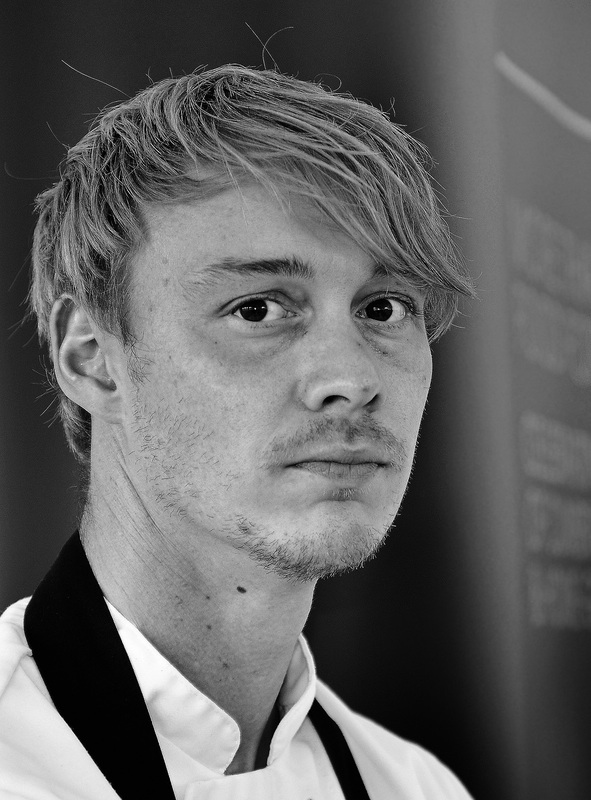 Meanwhile, the preparations are currently running at full speed for Rogans opening at Claridges in London in the next few weeks.So along with the farms , Lenclume , The Pig n Whistle , Aulis , Rogan & Co., The French , Mr Coopers and Claridges the whole team are working flat out….I really dont envy them. 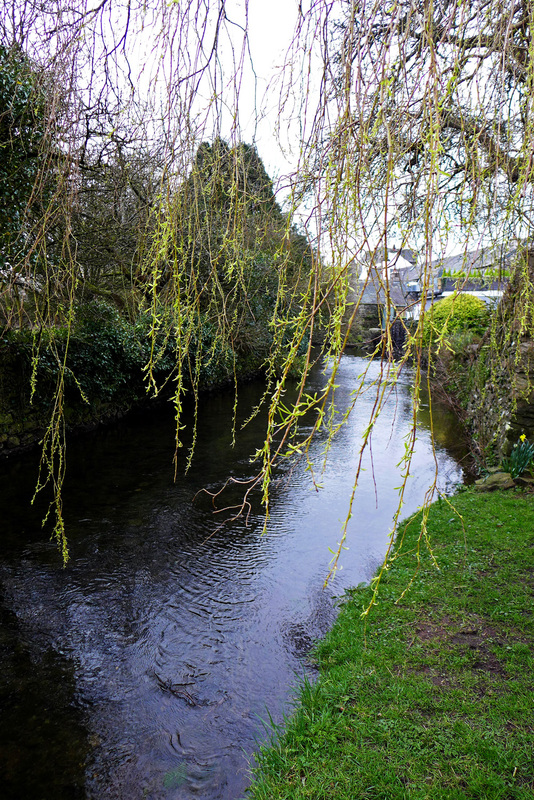 So, after a very relaxing and picturesque run down to Cartmel village i arrived for a fab Friday Spring lunch cooked for me by Chef Kevin Tickle. There are two choices on at Rogan & Co for diners. 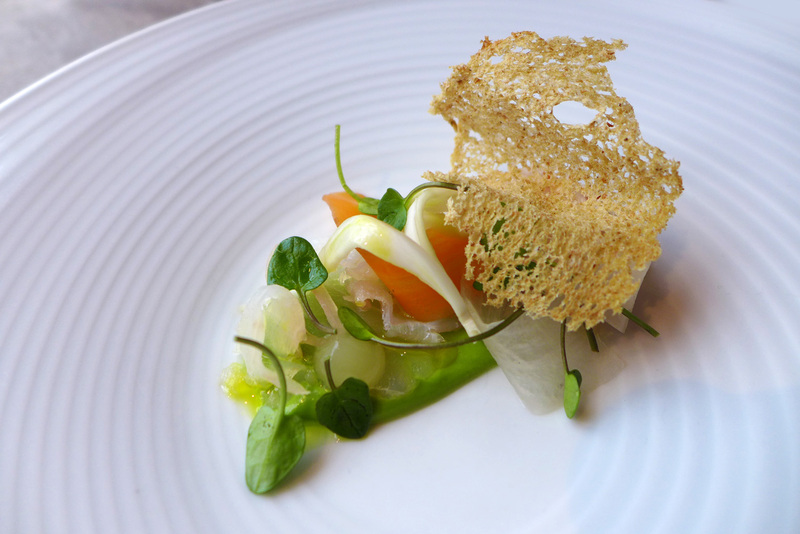 There`s the set lunch running at £28.50 or the multiple choice option of a 3 course a la carte priced at a very resonable £40. Both choices come with a few little extras thrown in which bump the meal up by another three small courses.Personally i would recommend the 3 course a la carte as you`ll end up getting a fantastic 6 course meal for £40. The dishes themselves are all in the Lenclume style and Kevin has added his own little twist to things to create his own unique stamp. 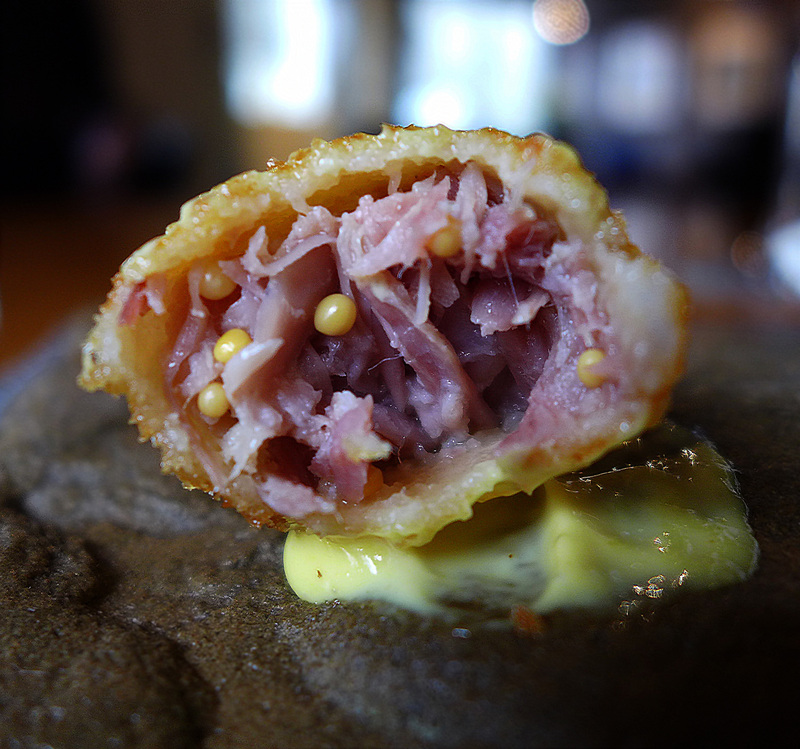 Ham hock with Mustard emulsion , Westcombe Cheddar cracker with Pickle. These were served as little appetisers , i could have happily eaten a bowl full of them with a nice glass of wine. 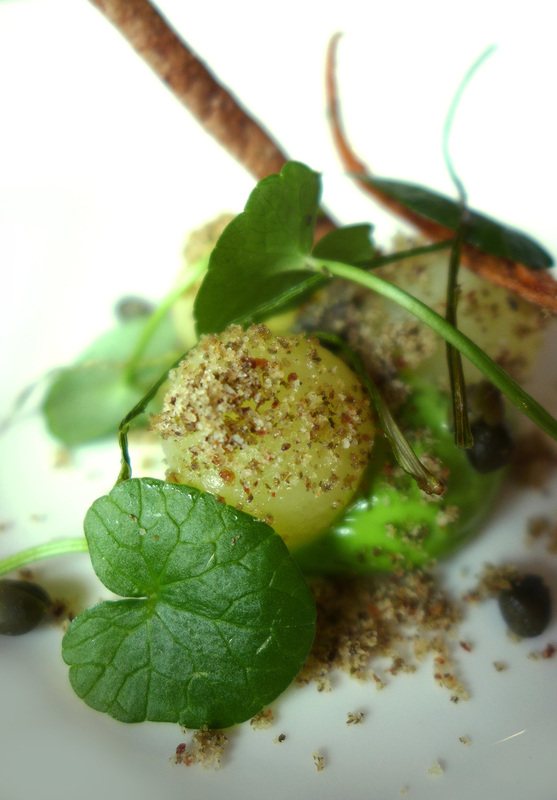 Confit potatoes, Lovage emulsion & Caper ,crisp potato skin,Lovage emulsion, Caper powder ,crumb. – A complimentary course which everyone got prior to their food arriving. 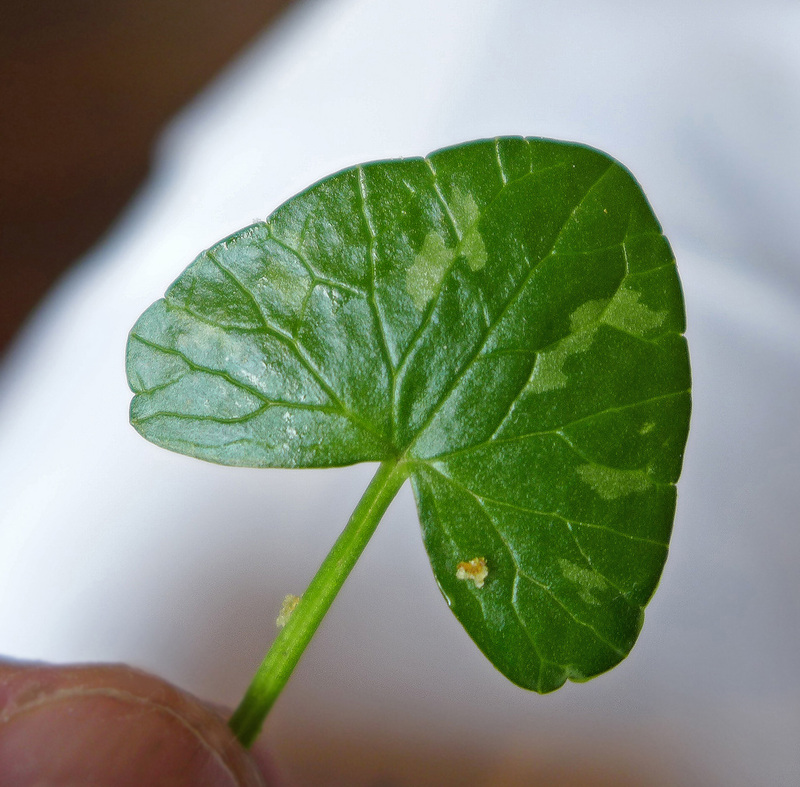 Lesser Celandine was the Wild herb to accompany the Potatoes. 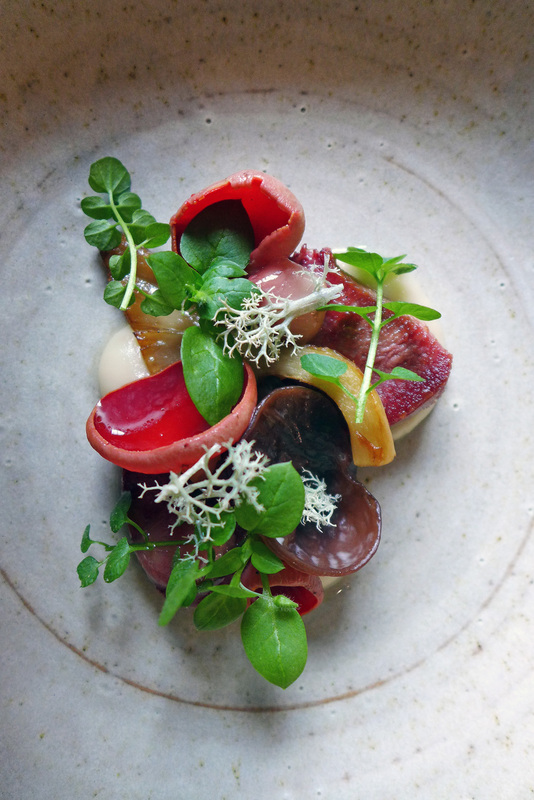 Broth of seasonal Mushrooms, roasted Ox Tongue& smoked bone marrow – Scarlet elf cup Mushrooms, Wild Oyster Mushrooms , Judas ear mushrooms, Reindeer Moss. 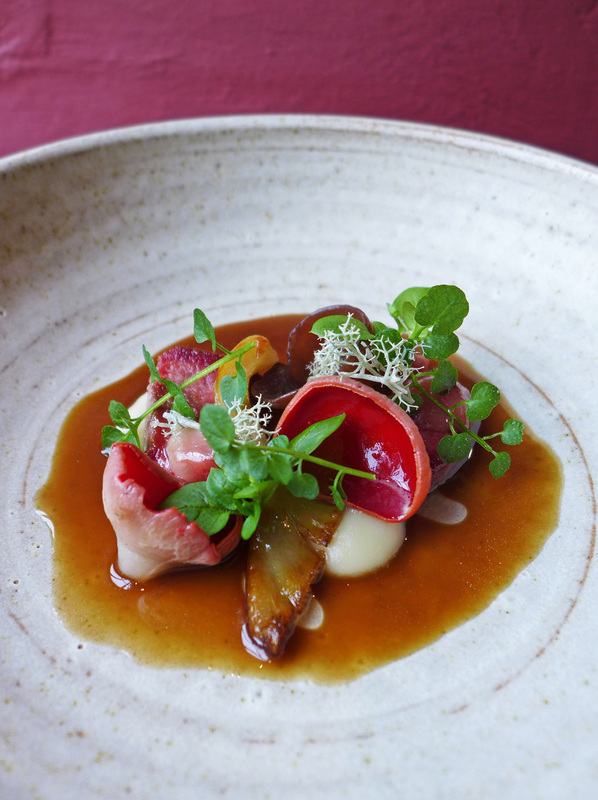 A stunning course both visually and on taste also.The mushrooms are collected from the local woodland , all in season and picked fresh by the foragers. 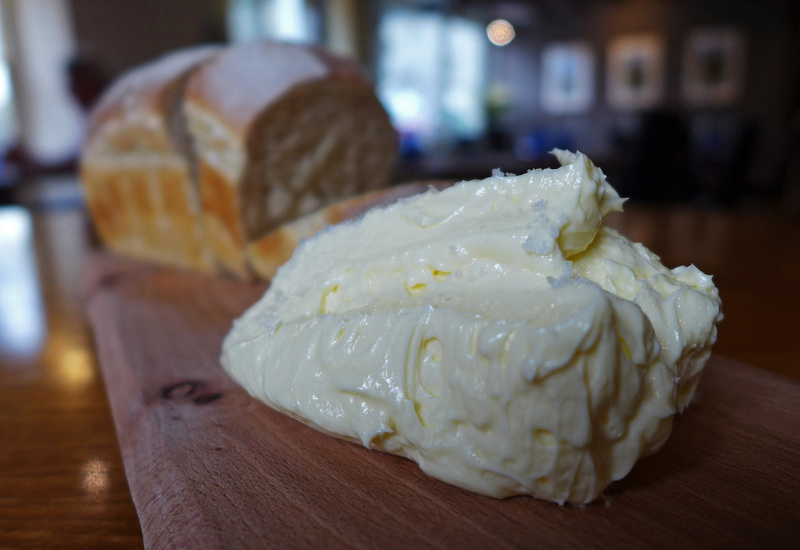 The broth was amazing and i was left the little jug of it on the table….Broth….Bread…Broth…Bread….All gone. The Reindeer Moss / Lichen has little flavour but looks stunning on the dish. 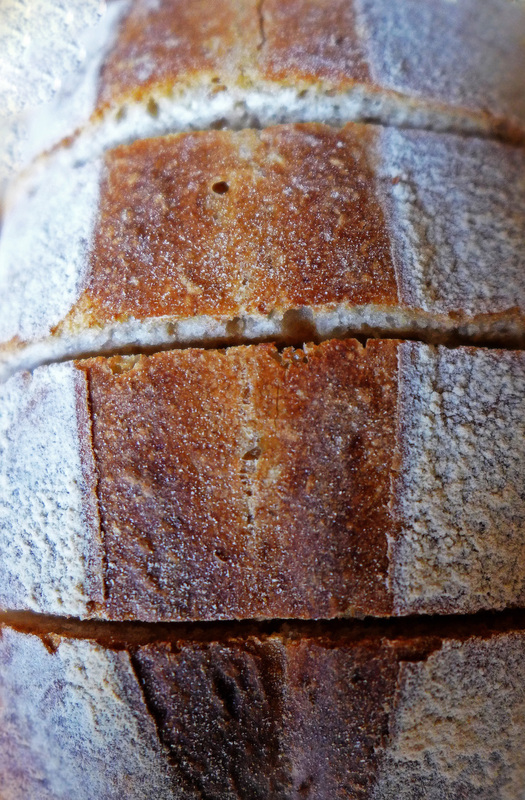 The Bread and Butter are both made on premises and Sourdough was todays bread. The bread was baked to perfection and as Bread goes , yeah it was decent. 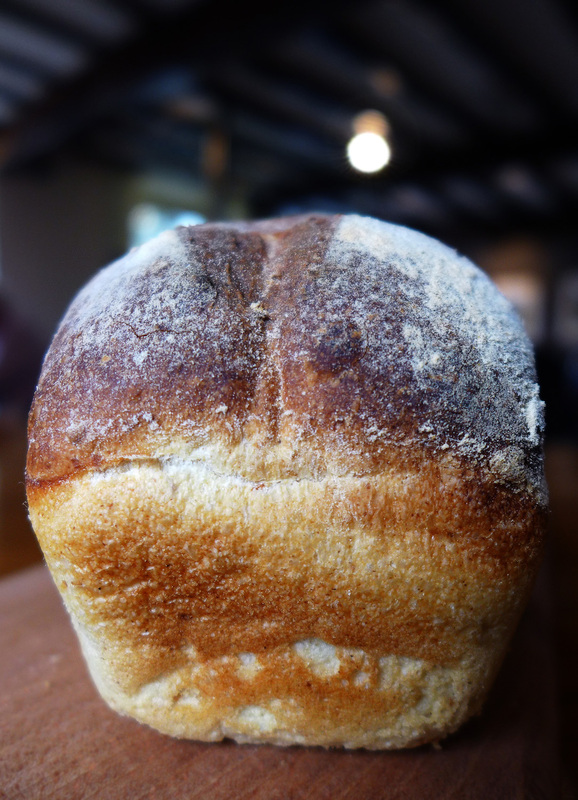 Personally i think that the same bread should be served at all of Rogans businesses as part of his trademark. 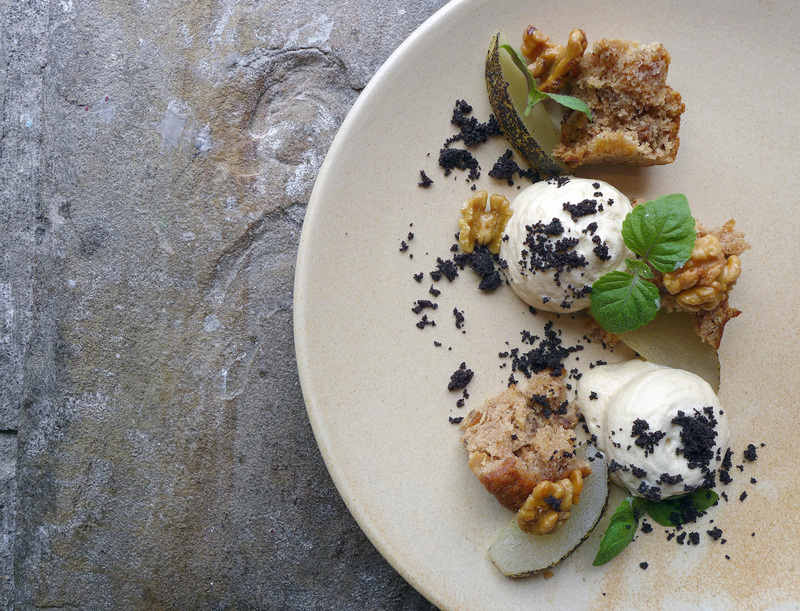 Everyone loves the Pumpernickel , White, Ale, and Wholemeal varieties served at Lenclume and “The French”. 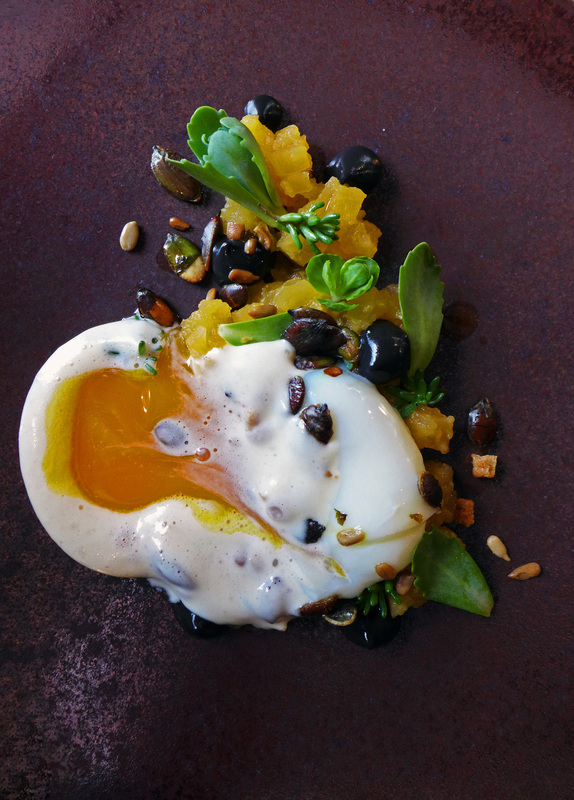 The next course was a Slow poached Maran Egg , Salt baked yellow Turnip , Truffle and toasted seeds. The dish in itself was beautiful , the Turnip packed with flavour.I didn`t get any taste or scent of Truffle in this one so I`m not sure what part of the dish it was in. 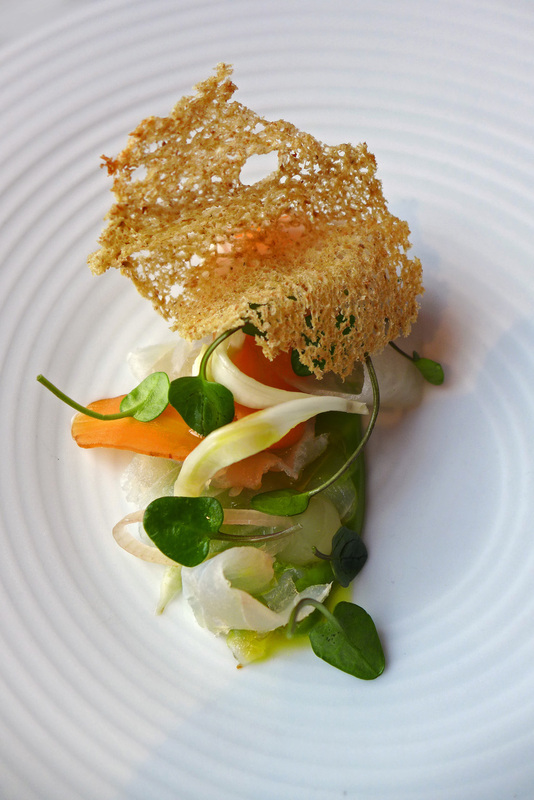 Cured Pollock, Oyster cream, Apple, Rye & pickled vegetables. 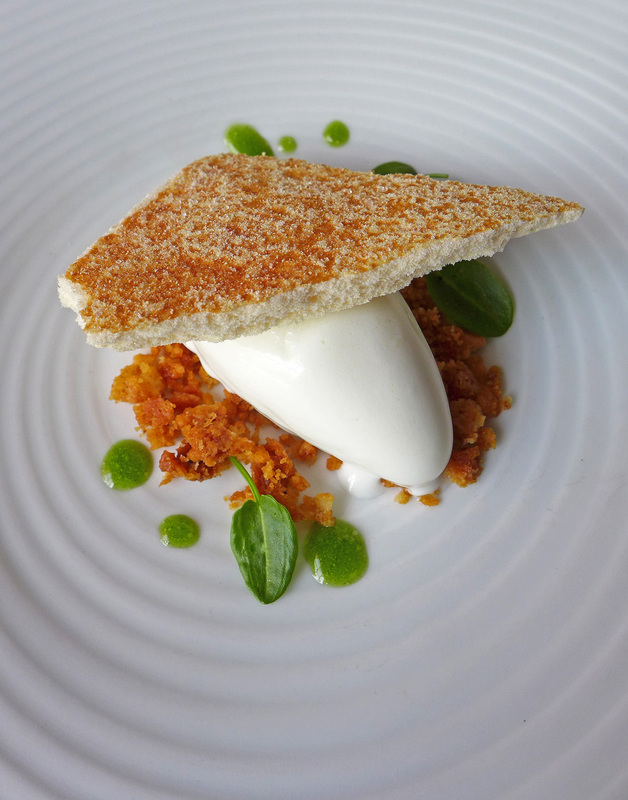 Rye crisps, Oyster cream and Apple gelée , lightly cured Pollack. – This was a very healthy and extremely light summery offering. Cured Pollock wasn`t my thing as i dont go in for raw fish but eaten with the sweet perfectly pickled vegetables it made a fine pairing. 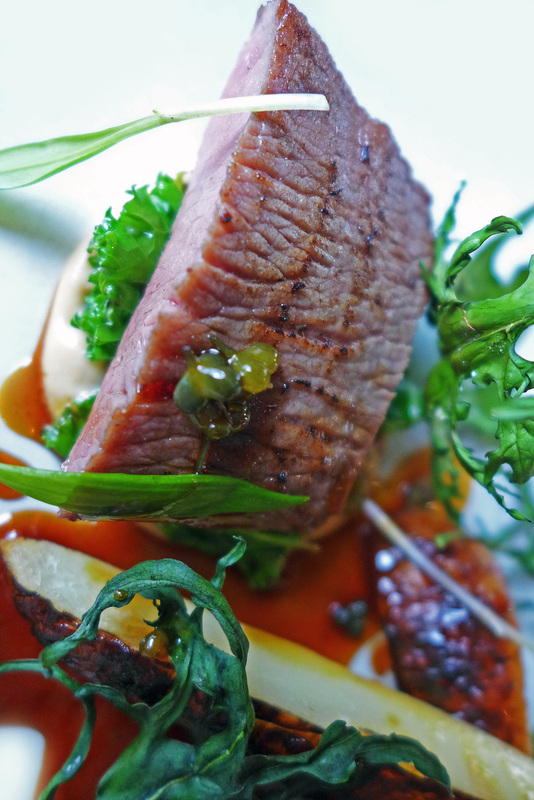 Langdale Mutton, roast Parsnip, Kale, Lamb jus & Ramson Capers – two cuts of Mutton, crispy and fresh Kale, caramelised Parsnip puree and Parsnip batons. – Ohhh now this one done it for me and confirmed Cumbrian Lamb as my favourite meat. The Parsnips are going to generate a bit of interest i would reckon. 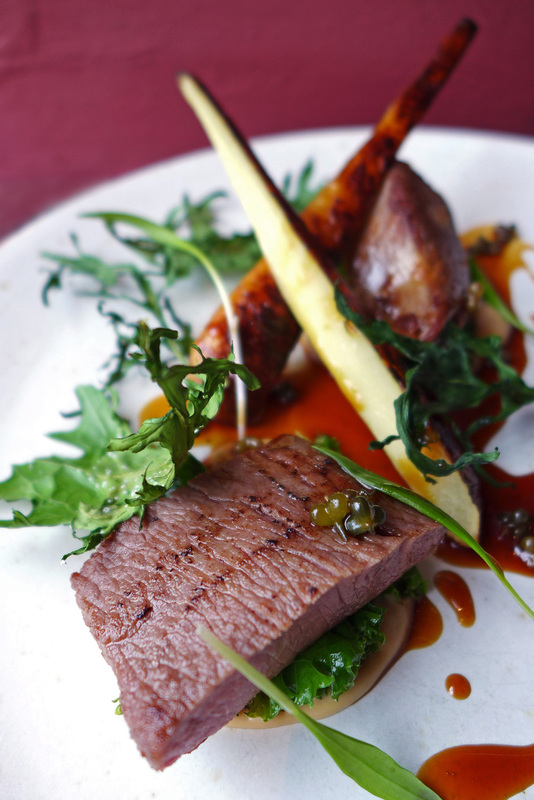 Perfectly cooked to a soft velvety texture throughout and a charred dark honey coloured coating on the exterior…. Mr Tickles secret ??? I`m on the case folks. 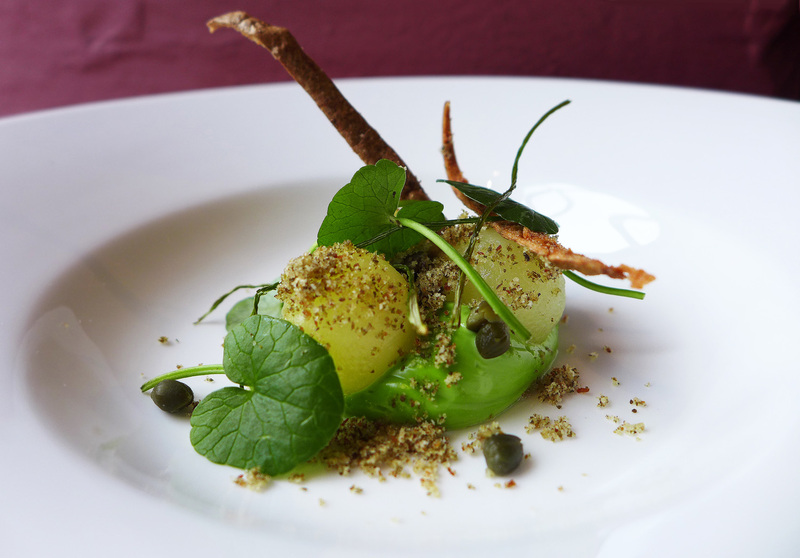 Celery Sorbet with Pine and Chestnut puree – This one is a freebie and comes as a bit of a palate cleansing crossover from the savoury to the sweet. 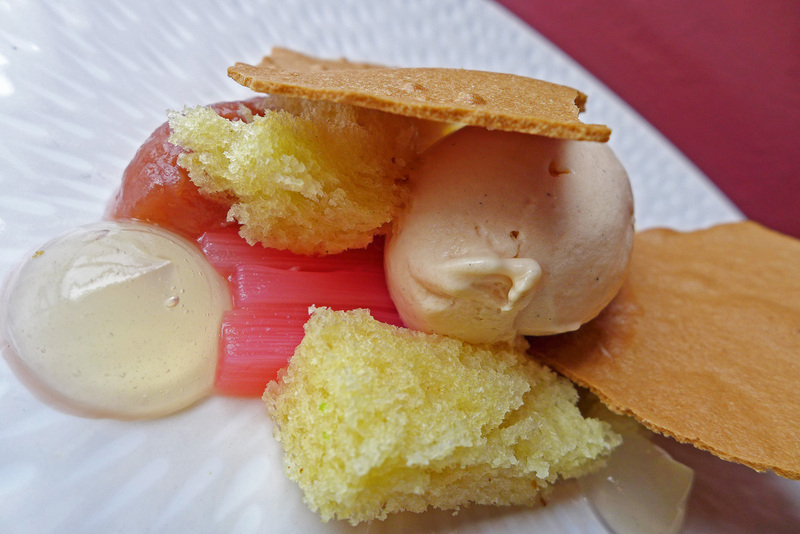 Rhubarb, Elderflower wine, Brioche & brown Butter – Rhubarb ice cream, Brioche and brown Butter Tuiles. 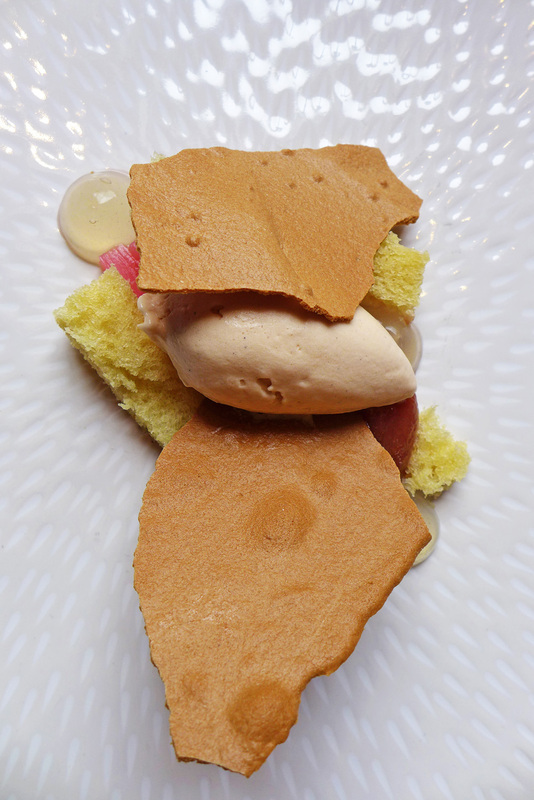 The well constructed combinations worked very well together, the dish needs no explaination , it was just a refreshing dessert full of lovely flavours. 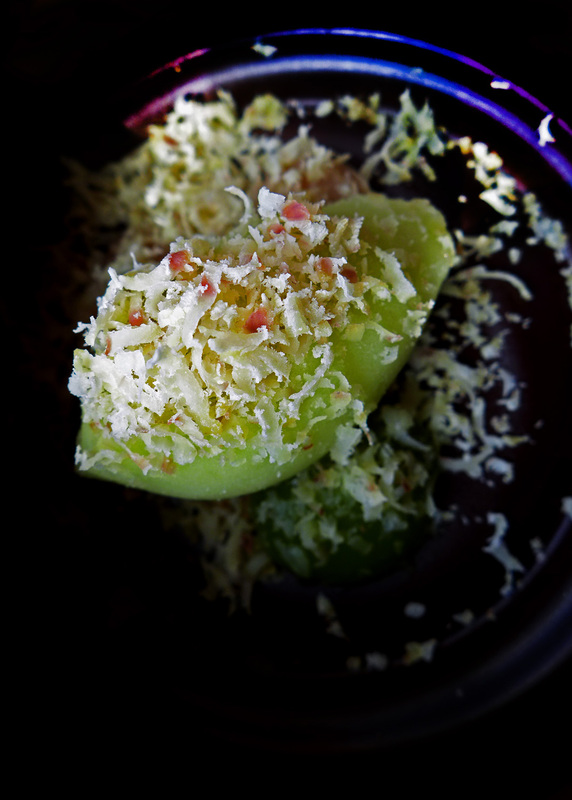 The Elderflower wine Gel offered a highly concentrated taste punch which made the dish. 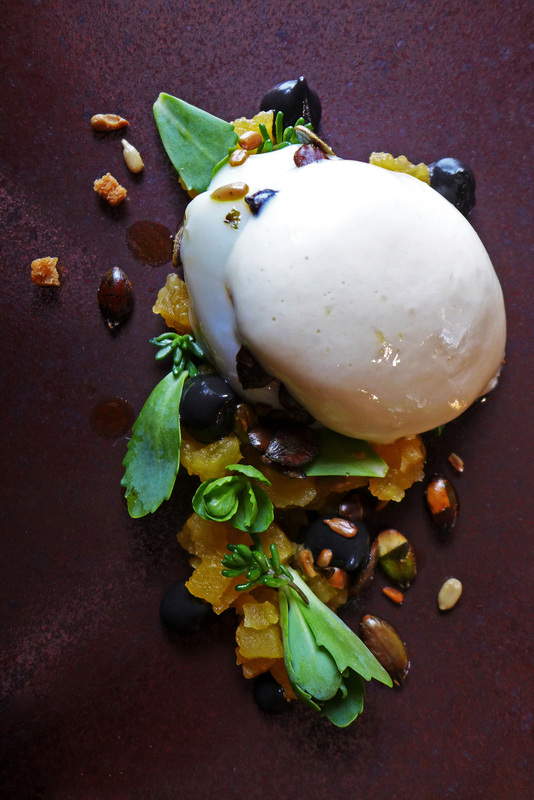 Sheeps Milk ice cream , Hazelnut , Sorrel and Acidic Yoghurt. 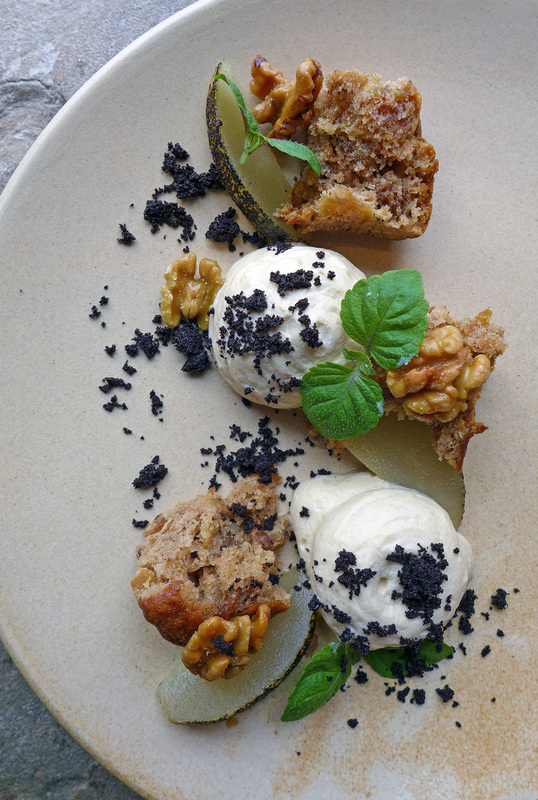 Scorched Pear , Walnuts and Coffee – Was a deconstructed cake like work of art on a plate….beautiful. 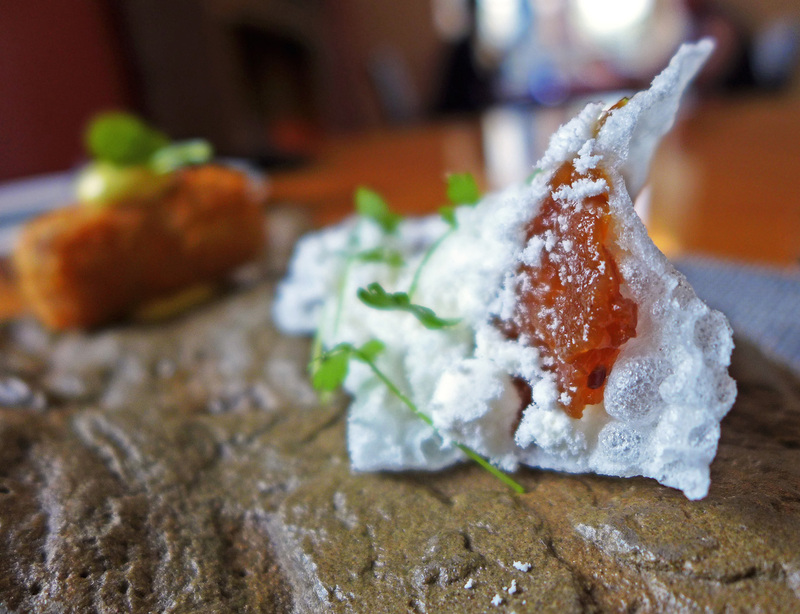 A meal at Lenclume will set you back £125 for 14 courses so the a la carte at Rogan & Co serves up as a bit of an intro to the food across the road. 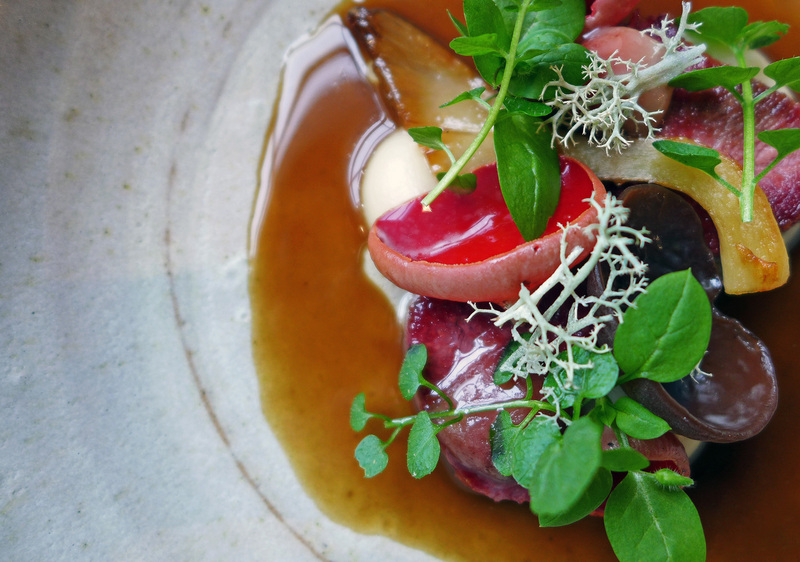 Not everyone can afford to eat at Lenclume so the £28.50 set lunch will give the diner a taster of the kind of food Simon Rogan does. Of course the perfect option would be to stay in the village for the weekend and do Rogan & Co on the Friday evening. Lenclume on the Saturday evening and then finish with a Pig n Whistle ( Rogans village pub ) Sunday lunch……How good would that one be ? .For the romantics out there its an absolute killer package. 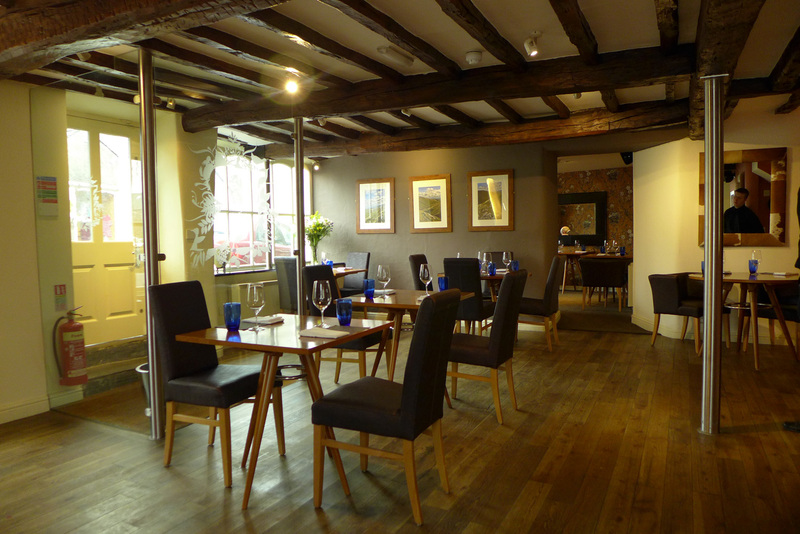 The restaurant after undergoing a full internal refurb , it`s warm and very welcoming. The log fire roars and the mood is lovely in there. `Billy no mates` was just sat there alone on a table for one but i`ll definitely be back for a romantic stay once i find myself a Princess out there in the big wide world. I had a wee laugh to myself at the large stainless steel poles in the restaurant. I can guarantee they`ll be put to good use at the staff parties no doubt. Previous Post Fab Friday lunches in town. 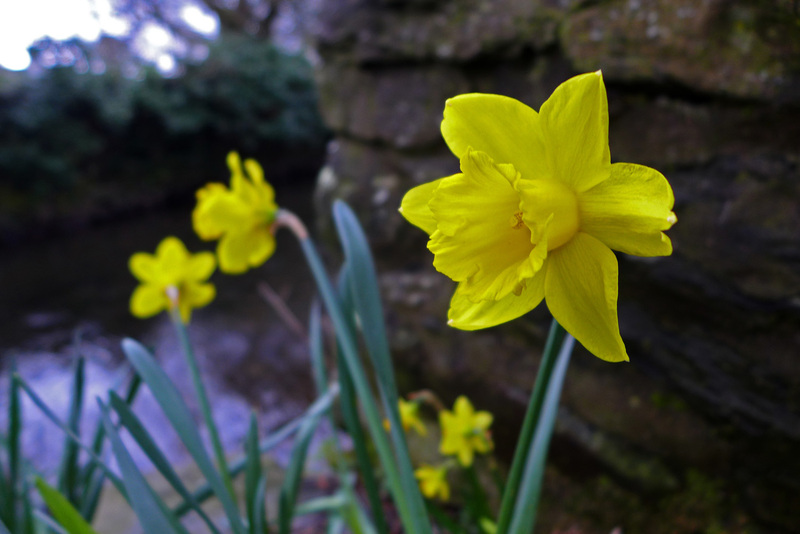 Next Post The Cottage in the Wood – A perfect lovers escape. Great post and stunning photos as usual, this place is number one on my list and after reading this I want to go asap! Great pics as ever. You still on an lx7? Food looking near enough identical to the mothership now, didn’t used to. Yeah , still using the LX7 Lee. The Nikon D800 is in the box most of the time , barely use it. There`s a new LX8 out soon so im hoping my pics will jump up a gear or two. Cheers.